Get involved to help make this race the best year yet! The mission of Pittsburgh Cure Sarcoma (PCS) is to raise awareness of childhood and adult sarcoma and fund research in the Pittsburgh region and beyond. 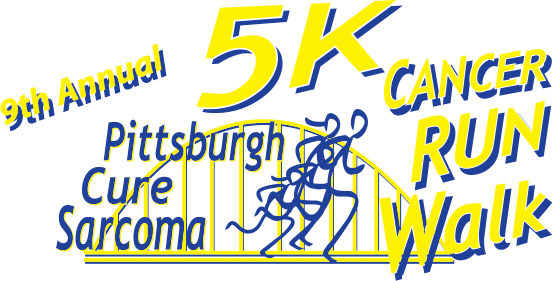 The Pittsburgh Cure Sarcoma 5K event is organized in cooperation with the Sarcoma Foundation of America (SFA). Our goal is to raise both awareness and resources for sarcoma research through the SFA and the UPMC Hillman Cancer Center’s Sarcoma Research Fund. All money raised goes to the Sarcoma Foundation of America (SFA), a registered 501(c)(3) nonprofit organization. Funds are then divided between SFA and the UPMC Hillman Cancer Center – Sarcoma Research Fund. Donations are tax-deductible to the extent permitted by law. Copyright © 2019 Pittsburgh Cure Sarcoma. All rights reserved.